First published in 1986, Lila Abu-Lughod’s Veiled Sentiments has become a classic ethnography in the field of anthropology. During the late 1970s and early 1980s, Abu-Lughod lived with a community of Bedouins in the Western Desert of Egypt for nearly two years, studying gender relations, morality, and the oral lyric poetry through which women and young men express personal feelings. The poems are haunting, the evocation of emotional life vivid. But Abu-Lughod’s analysis also reveals how deeply implicated poetry and sentiment are in the play of power and the maintenance of social hierarchy. What begins as a puzzle about a single poetic genre becomes a reflection on the politics of sentiment and the complexity of culture. 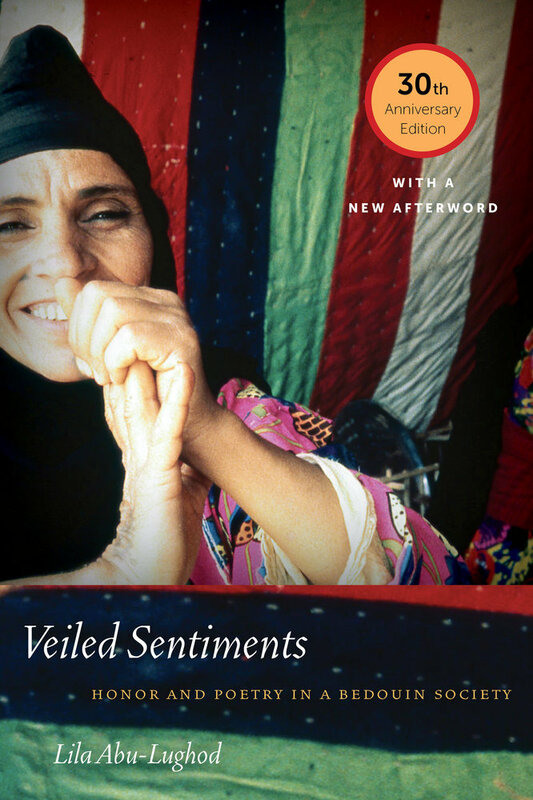 This thirtieth anniversary edition includes a new afterword that reflects on developments both in anthropology and in the lives of this community of Awlad 'Ali Bedouins, who find themselves increasingly enmeshed in national political and social formations. The afterword ends with a personal meditation on the meaning—for all involved—of the radical experience of anthropological fieldwork and the responsibilities it entails for ethnographers. Lila Abu-Lughod is Joseph L. Buttenwieser Professor of Social Science at Columbia University, where she teaches anthropology and gender studies. She is the author of Writing Women's Worlds: Bedouin Stories, Dramas of Nationhood: The Politics of Television in Egypt, and Do Muslim Women Need Saving?